Windfall gain for the poor? Prime Minister Narendra Modi Tuesday used the air strike analogy to underscore his will to take on terrorism emanating from Pakistan. Speaking after launching a pension scheme for the unorganised sector, Modi said the opposition wants to dislodge him. "They (opposition) want to strike Modi, but I want to strike on terror," Modi said. "They want to remove this 'chowkidar but I want to fight poverty," he added. Taking potshots at the attempts to cobble up a mahagathbandhan (grand alliance) against the BJP, Modi said the opposition parties are forming a 'mahamilavat' (highly adulterated) combine to remove him. "But I am working to safeguard the interest of workers and farmers. I am also working to provide security, he said. Modi, who launched the Pradhan Mantri Shram Yogi Mandhan Yojana pension scheme, targeted Congress president Rahul Gandhi over poverty, saying only those oblivious to sleeping hungry at night can think that it is a "state of mind". For some, poverty is just an opportunity to click photos, Modi said, sharpening his attack on the Congress chief. "This scheme is aimed at the uplift of the section of society which has been ignored and left at the mercy of God. They (Congress) gave slogans of garibi hatao (end poverty). Some projected themselves as a messiah of workers. But during their tenure they did not launch such a scheme, he said. "They ruled the country for 55 years and collected votes in the name of poor," he said. "They thought that poverty is a mental state. See how is this neta who says that there is nothing like poverty but a mental state," Modi said, targeting the Congress president. "For them, poverty is just an opportunity to click pictures. Only those oblivious to sleeping hungry even for one night can think that it is a state of mind, Modi said, in an obvious reference to Gandhi's 2013 statement that poverty is a state of mind. "What they could not do in 55 years, this 'chaiwala' did in 55 months by bringing such a scheme," Modi said. The communists got the opportunity to form a government in many states but could not bring such a pension scheme for the unorganised workers, Modi said. Such a scheme has been launched for the first time for unorganised sector workers in India, he said. 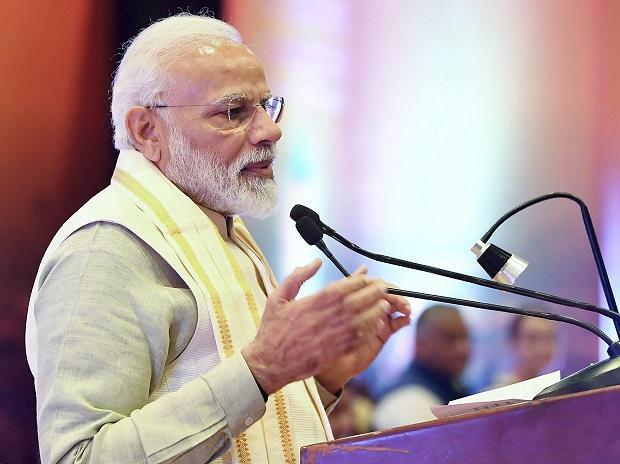 "This scheme has been launched by our government as a tribute to the unorganised sector workers, who can earn some money till their body is fit but are worried about what will happen to them when they get old, Modi said. Under this scheme, unorganised workers will get a pension of Rs 3000. I am told that over 14 lakh workers have been enrolled under the scheme, Modi said.